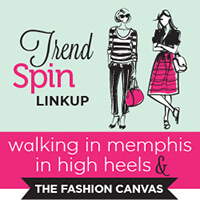 Good morning…I hope everyone is having a great Tuesday and thanks for stopping by today’s Trend Spin Linkup with Walking In Memphis In High Heels, myself and our Guest Host for the week, Emelia from Sparkle and Shine On! 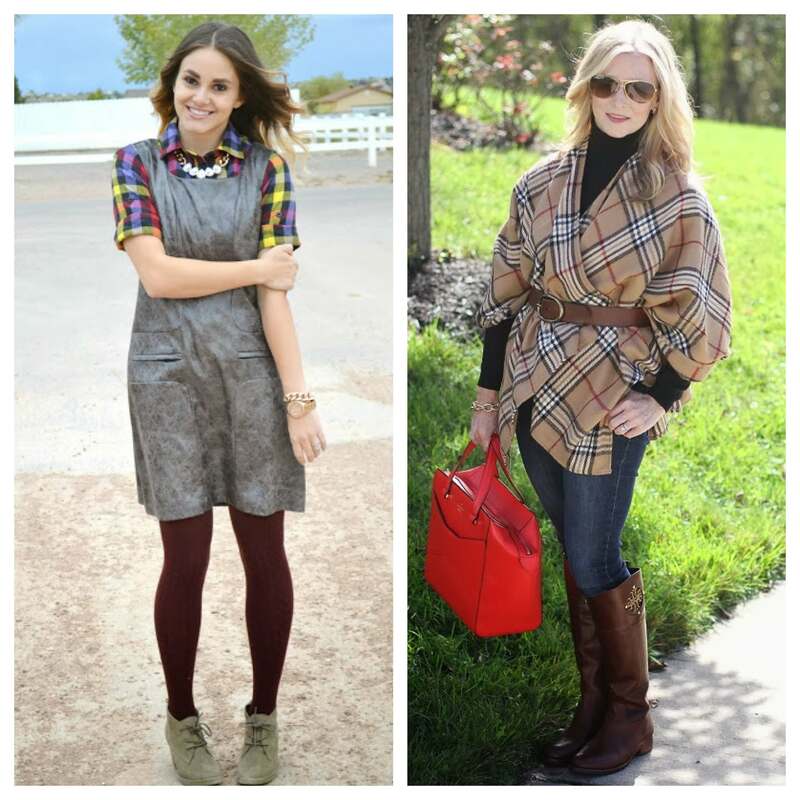 Meanwhile, here are two of our favorite looks from last weeks gingham & plaid! 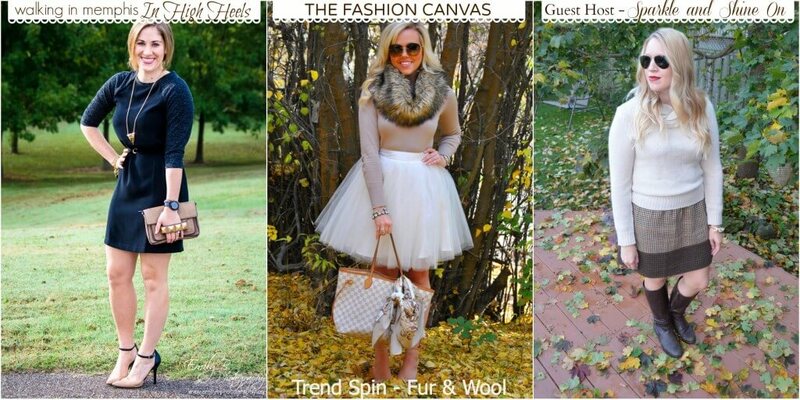 Today’s trend is FUR & WOOL! If you know anything about my blog, then you KNOW I love to pair anything with some fur. I felt very Carrie Bradshaw when I paired my fur scarf with this skirt from Space46. I saw this skirt on my friends blog Kylee Dell. She has the cutest style and I knew right when I saw it on her, I must have it!! Next Tuesday’s trend (10/29) will be Orange or Black! Get ready for this festive theme! What better time to wear your Orange and Black for Halloween. Bloggers : All bloggers will be able to submit their post links via the inlinkz widget below every Tuesday at 12:00am with their take on our trend of the week. This will allow bloggers to show off their personal style, find new followers and meet some great fashionistas! You will also have the chance to be featured on our blogs the following Tuesday! So grab the button and link up. = ) For all bloggers we simply ask that you please follow your 3 hosts – Walking in Memphis in High Heels, The Fashion Canvas and It’s Not That Deep (the first 3 links in the linkup) and provide a link to the Trend Spin Link-up in your post or add the button below to your blog. Don’t forget to stop by Walking In Memphis In High Heels and It’s Not That Deep to see how they wore there trend today. Leave a comment on my blog, and also on at least 5 other blogs! Shop Pink Flat Shoes, Short Sleeved Blouses, Short Sleeve Dresses, Black Pumps Heels and more. Get this widget.